Today I posted a blog asking you to help us carry out Franke James's art exhibitions in Europe. Let me share some of the invitation letters we got - they will give you an idea of our plans, and they will also give you a better understanding of why we need your help. 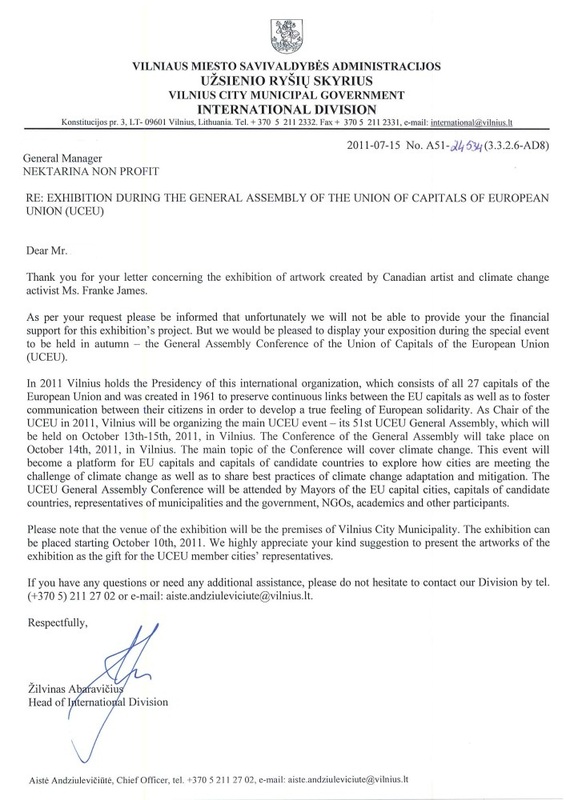 This is an invitation letter to exhibit Franke James's artwork during a high profile UCEU Conference in Vilnius, Lithuania this October. UCEU stands for Union of Capitals of European Union. Pretty cool, right? 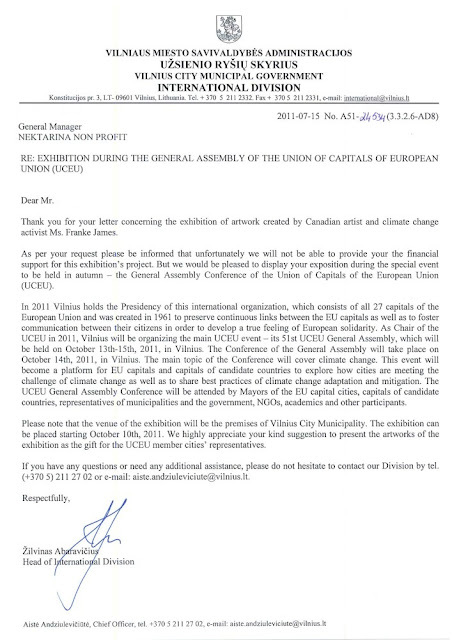 Thank you for your interest in the European Culture Congress. The Congress is made up of over 100 projects with numerous key European art centres and NGO participating. We hope to achieve a broad spectrum of visitors ranging from alternative influential curators to mainstream artists. We have been preparing the program of the Congress for the last two years and unfortunately currently we cannot add additional events to the program. But we especially invite you to present Franke James's work as a Pecha Kucha presentation during the Congress. Still, having all these cool invites was not enough to gain the support we needed the most. Can you help us present Franke's essays across Europe?